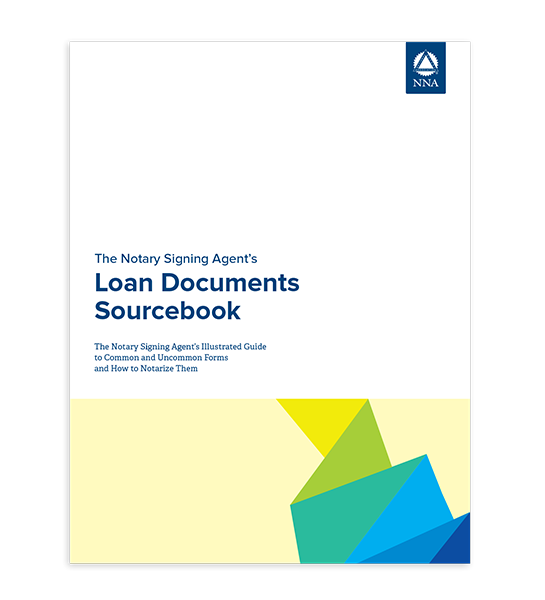 The Notary Signing Agent’s Loan Documents Sourcebook is a must-have resource for both the beginner and veteran signing agent. Contains detailed information and sample loan packages for the five main types of loan transactions in addition to examples of various affidavits, convenyance deeds, security instruments, and other common and not-to-common forms NSAs routinely encounter. Be more confident as an NSA! The Notary Signing Agent’s Loan Documents Sourcebook provides a wealth of information for both the beginner and veteran NSA. The sample loan packages will give you a clearer understanding of what each loan type entails, and highlights the documents that require notarization. In addition, separate chapters of this Sourcebook contain examples of various affidavits, conveyance deeds, security instruments, and other common and uncommon forms Notary Signing Agents routinely encounter. Never before has such a breadth of diverse real property and mortgage documents been compiled in a single volume with the needs of the Notary Signing Agent in mind.